Good morning, Sunshine! Are you ready to start the day? 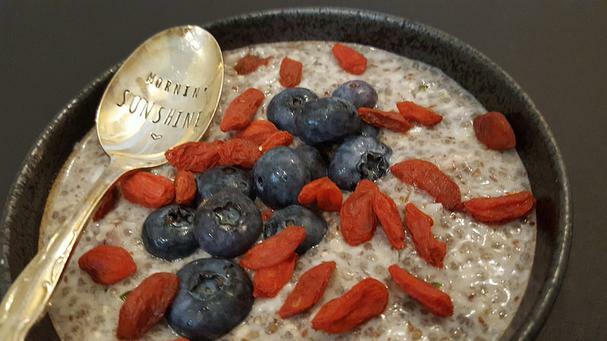 This delicious chia porridge recipe is so hearty and nutritious you’ll be satiated all morning long (and it’s so good you may even want another bowlful for lunch). 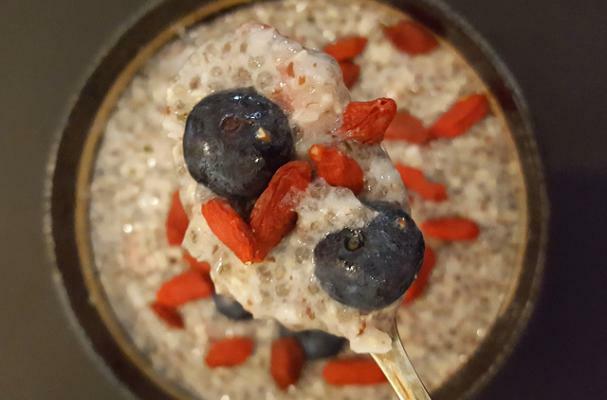 It has nearly three times the fiber as oatmeal and is loaded with protein, antioxidants, and omega-3 fatty acids and more thanks to the flaxseed meal, chia seeds and hemp hearts. It takes just 5 minutes to prepare, making it a perfect breakfast for those busy mornings! Pour coconut milk and vanilla into a saucepan and bring to a boil. Reduce to a simmer and add the remaining ingredients (except for berries) and simmer on low until the porridge thickens. Garnish bowls with blueberries and goji berries and serve immediately. Your belly will thank you.